[toc]Cracked heels are very painful and it could be caused due to different things. However, it only gets worse when you neglect it until the point where it gets more and more painful. What most of us don’t understand is that neglecting cracked heels, even when they are in the initial stage won’t cure the condition on its own. You ought to make sure that you take proper measures to cure this condition. If this condition gets severe, chances of immense infection and bleeding along with pain are very high. When most people experience cracked heels, one of the first things they do is head to the market and buy the products from the racks. As much as the market based products look appealing and promising, the truth is that many of them do not deliver results as promised. Secondly, even if they work, the results are temporary and do not favor in the long run. Rather than spending money on something that does not do any good in the long run, it is wise to look for other alternatives. One of the best and most effective options come in the form of natural cures for cracked heels. The benefit of relying on natural cures for any health condition is that it is safe and comes with no side effects whatsoever. Moreover, natural cures are easily available, therefore in times of need, one needn’t have to rush to the medical store and all of it seems very difficult. Thus, natural cures are the perfect savior. One of the most talked about ingredients that can fight infection, kill the unwanted bacteria and ensure that the body is healthy is by using lemon extract. Lemon juice has acidic properties in it that can kill infection as well as help in smoothening of the skin. It is very useful for skin problems too. Skin is very sensitive and some people think that lemon must be avoided as it gives a burning sensation to the skin but the truth is that it only burns initially so that it can heal the skin problems and fix them. So, when it comes to cracked heels, lemon works brilliantly. Just apply it on the cracked heels before going to bed and wash it in the morning. You will find significant results in only a few days. 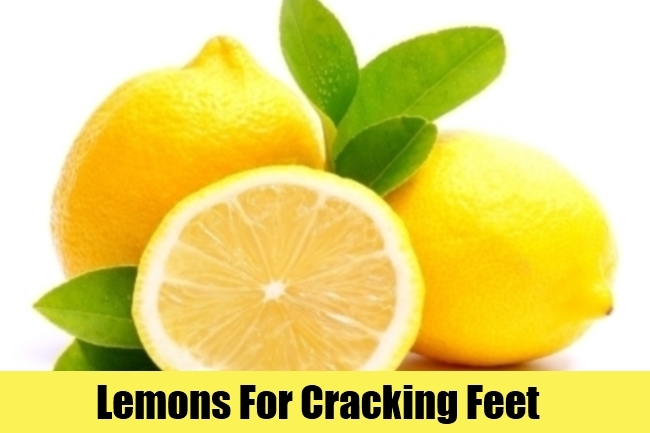 Alternatively, you can soak your feet in hot water with lemon juice for about ten to fifteen minutes. If you have ripe bananas at home, you can use it as one of the natural cures for cracked heels. Bananas have the quality of making the skin feel smoother and nourished. Cracked heels come with harsh skin texture and by working on it, you will most certainly find all the cracks disappearing in few days’ time. 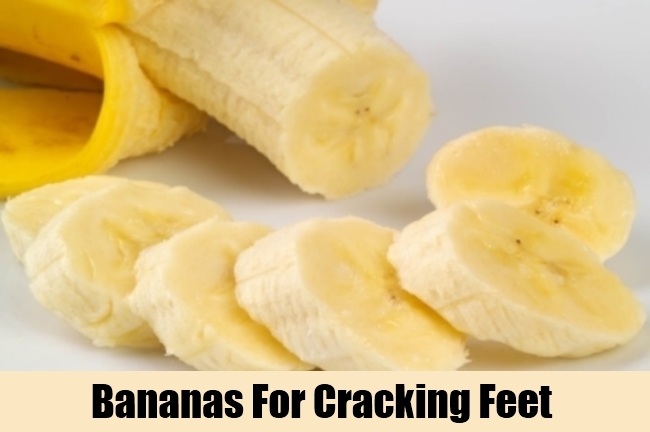 Cracked heels need natural nourishment and bananas have it in them to offer just that. All you need to do is to make a banana paste and apply it on the skin for ten minutes at least. Don’t let it stay for more than a half hour because it tends to get dry. A decent time of ten to fifteen minutes is sufficient because it helps the skin absorb the nourishment. While washing it off, make sure you use cold water or lukewarm water. While there are other natural cures for cracked heels, salt water is one of them. When you are recommended to use salt water, many assume that it should be hot salt water, well as stated above; hot water will make the pain worse. Thus, make sure you opt for warm salt water, something that is bearable enough. 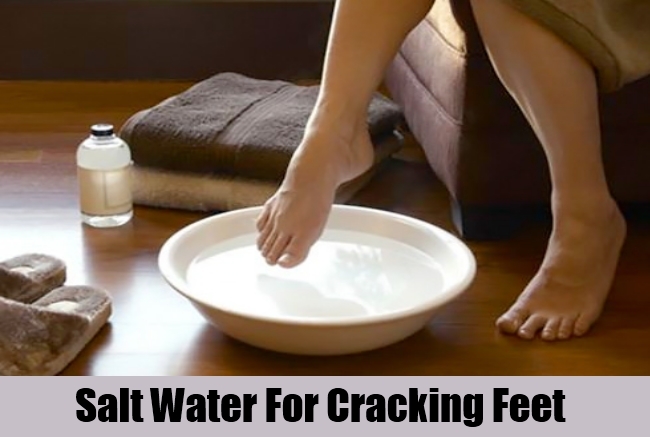 If you are wondering how salt water helps you with cracked heels, well it helps basically because salt has properties to pull away the pain and discomfort from the feet and at the same time provide the heels with the much-needed moisture. In case you experience too much pain, go in for a round of warm salt water, soak your feet in it for at least fifteen minutes and then soak it in cold water for the same amount of time so that your feet have better blood circulation and the pain is relieved. Rosewater is not just used for your face, it does wonders to most parts of your body, and it is useful in general for the entire skin. Most people have found this to be very useful and there isn’t any hard work involved in using rosewater on the cracked heels. Just grab rosewater from your cabinet and rub it onto your heels, do so before going to bed, because this is the best time to treat cracked heels. Rosewater has in it different vitamins in it, which are combined with both antibacterial as well as antiseptic properties. 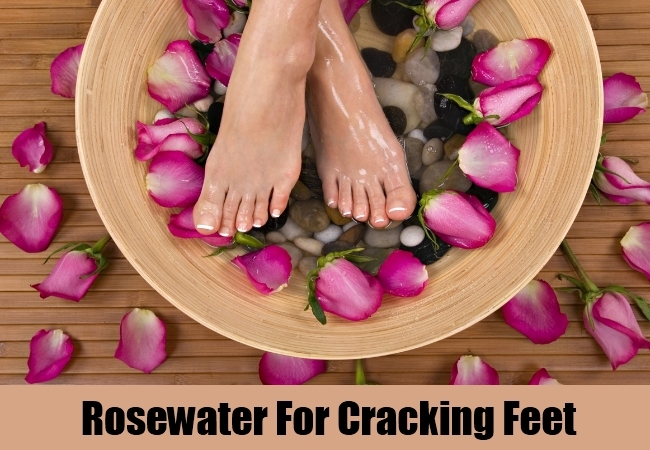 So, if cracked heels are caused due to some kind of dryness that is accompanied with infection, then you can surely see rosewater doing its magic. Another wonderful natural remedy to treat cracked heels comes in the form of honey. The best thing about this ingredient is that it has immense antibacterial properties that will ensure that the pain caused by any kind of infection is dealt with in the best manner possible. At the same time, honey offers the much-needed moisturizer for the cracked skin. Just mix some honey in water and let your feet soak in it for some time. Once you remove your feet, wash it with cold or lukewarm water. If you feel you can manage scrubbing your feet, do so, because the dead skin easily comes off and the moisturizing property of honey makes the skin smooth. However, if you are experiencing any kind of discomfort or pain, you can wait until a few days to scrub your feet. Make sure you follow this procedure for a few days in order to find significant results. 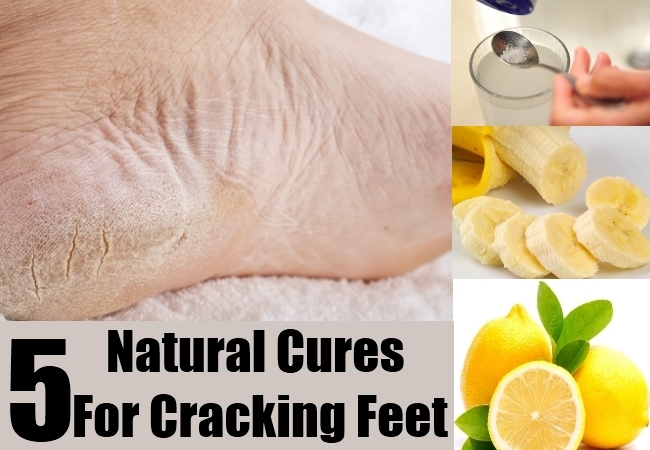 Natural cures for cracked heels do make a significant amount of difference. All you need to do is give it some time.